Drew Bonner is a composer, arranger, performer, teacher, and musical guru. He enjoys a professional career living in Texas and takes advantage of the amazing music scene that the state has become known for. The passion and enthusiasm found in his performances carry over to his love for teaching and learning. Drew performs with his euphonium quartet, FivE. They regularly tour across the United States visiting schools and universities, as well as appearing at a variety of musical conferences. FivE utilizes theatrical elements as well as a multitude of styles during their eclectic shows. These uncommon yet captivating attributes intrigue audiences both young and old. The group’s first CD will be released in 2017. Drew is an active composer and arranger. He is the primary arranger for FivE and also works with musical groups across the country. His original compositions feature jazz harmonies and funk rhythms making them lush and distinctively verve. His music has been performed internationally with premieres taking place in the United States, Europe, and Asia. 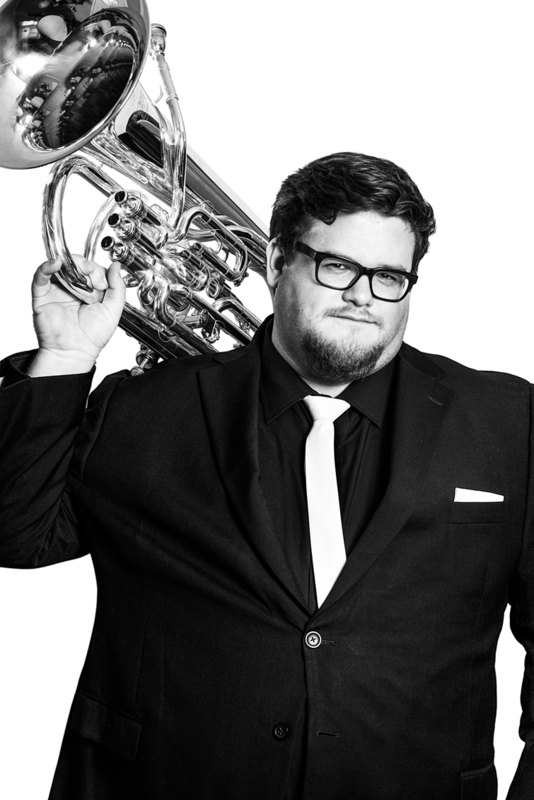 Drew additionally writes for marching bands across the country, garnering many awards and recognition. Drew currently splits his time between Austin and Dallas. In his free time, he enjoys watching college football, sipping rum, and singing barbershop. He is a Buffet Crampon and Besson performing artist and plays exclusively on a Besson Prestige 2051.